Lok Sabha Elections 2019: Bihar will go to polls in seven phases. 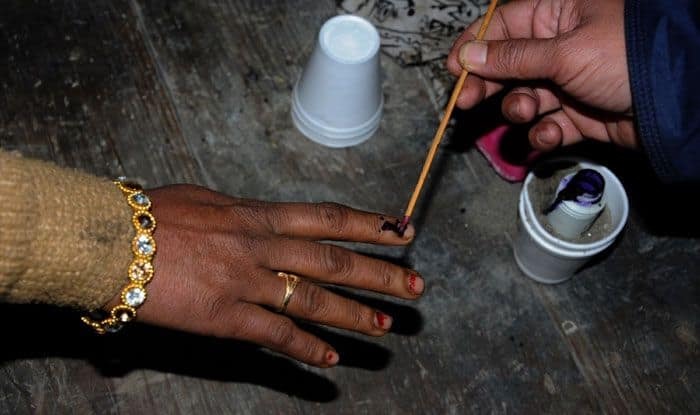 There are a total of 40 parliamentary seats in the state, amongst them, Jhanjharpur, Supaul, Araria, Madhepura and Khagaria will also go to polls. Here’s all you need to know about these seats. The total number of electorates in Jhanjharpur is 1,418,977, according to Election Commission of India (ECI) 2009 data. In 2014, Birendra Kumar Chaudhary from BJP won the elections against RJD’s Mangani Lal Mandal. This year, JD(U) has fielded Ram Preet Mandal against RJD’s Gulab Yadav from the seat. The total number of electorates in Supaul is 1,279,549, according to Election Commission of India (ECI) 2009 data. In 2014, Ranjeet Ranjan from INC won the elections against JD(U)’s Dileshwar Kamait. This year, JD(U) has fielded Dileshwar Kamath against INC’s Ranjeet Ranjan from the seat. The total number of electorates in Araria is 1,311,225, according to Election Commission of India (ECI) 2009 data. In 2014, Sarfaraz Alam from RJD won the elections against BJP’s Pradeep Kumar Singh. This year, BJP has fielded Pradeep Singh against RJD’s Sarfarz Alam from the seat. The total number of electorates in Madhepura is 1,508,361, according to Election Commission of India (ECI) 2009 data. In 2014, Rajesh Ranjan & Pappu Yadav from RJD won the elections against JD(U)’s Sharad Yadav. This year, JD(U) has fielded Dinesh Chandra Yadav against RJD’s Sharad Yadav from the seat. The total number of electorates in Khagaria is 1,342,970, according to Election Commission of India (ECI) 2009 data. In 2014, Choudhary Mahboob Ali Kaiser from Lok Jan Shakti Party won the elections against RJD’s Krishna Kumari Yadav. This year, VIP has fielded Mukesh Sahni from the seat.